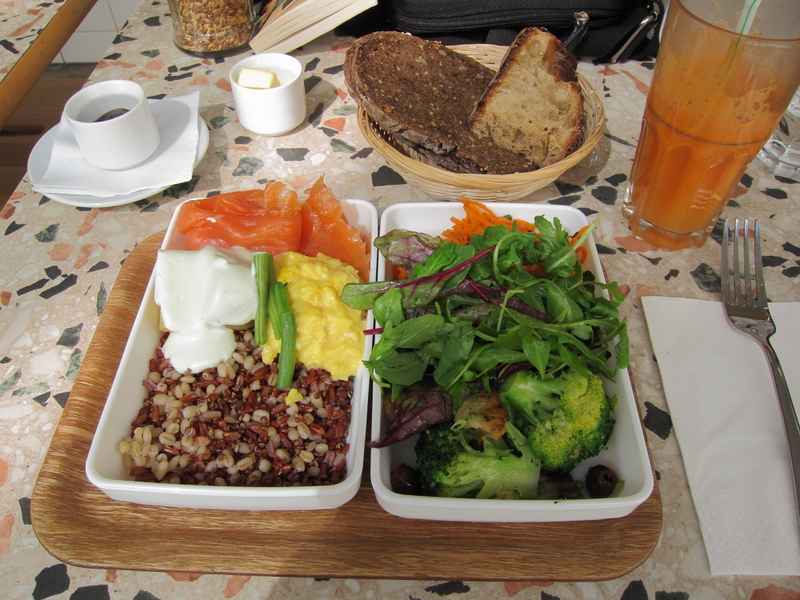 On Sunday I took a stroll, happily interrupted by a bento box at Nanashi in the Haut Marais, to which Jeff R. had introduced me last year. My walk took me by Couronnes — a focus for the Muslim community — which I recognized from last year’s Belleville open studios. I wandered from there into the parc de Belleville in the 20ème, which was filled on this lovely September day with sunbathers and picnickers. 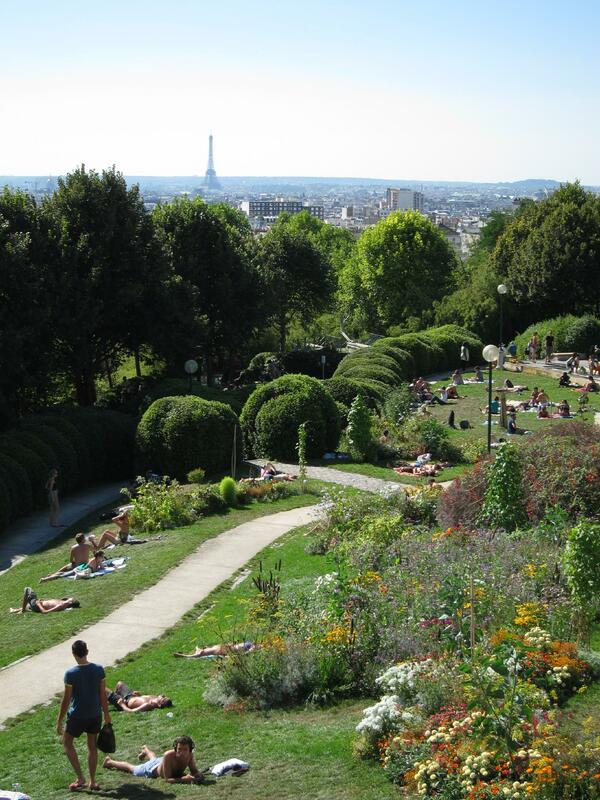 Then I walked over to the parc des Buttes-Chaumont in the 19ème, where I read a few chapters of Les Particules élémentaires by Michel Houellebecq, which had been commended to me by Ryan Norbauer. The book has a deeply jaundiced view of human nature (especially male human nature) and of French society, but it has some marvellous writing and the positions it takes are fun to tussle with even if in the end one rejects them. 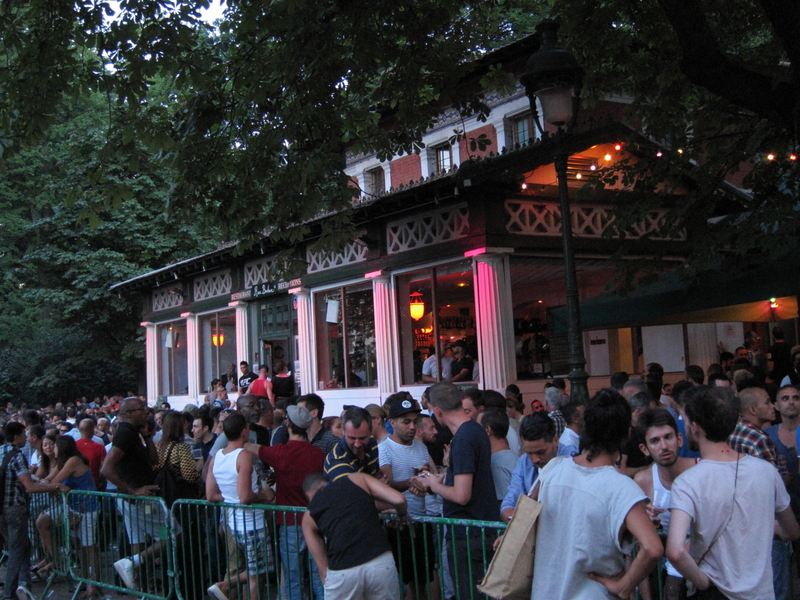 Around 5 pm I met up with Jared in the line to get into Rosa Bonheur, a charming old ginguette at the upper corner of the park. We had been told to get there by 5:30 but in fact there was already a half-hour wait by the time we got on line. 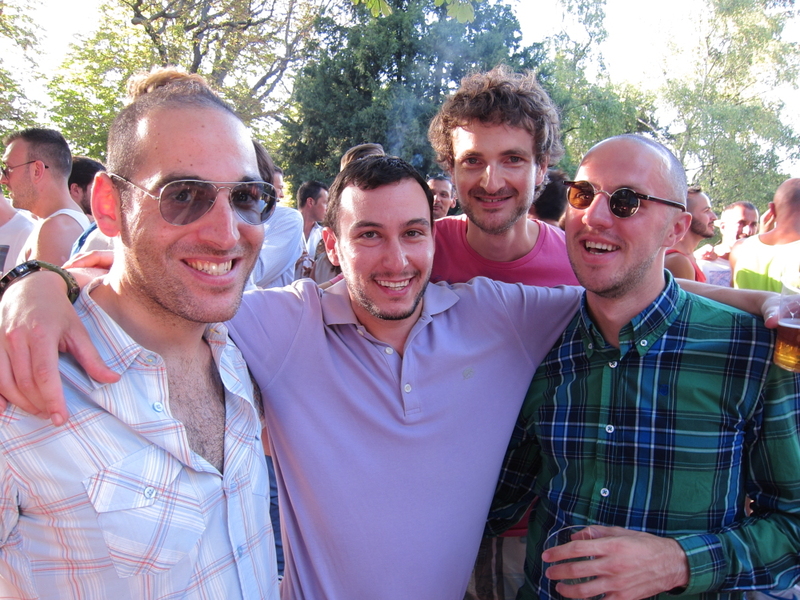 Soon enough, however, we joined the throng of gay men that takes the place over on Sunday afternoons. There we found several of Jared’s Parisian friends, who were congenial, and fluent in both French and English. 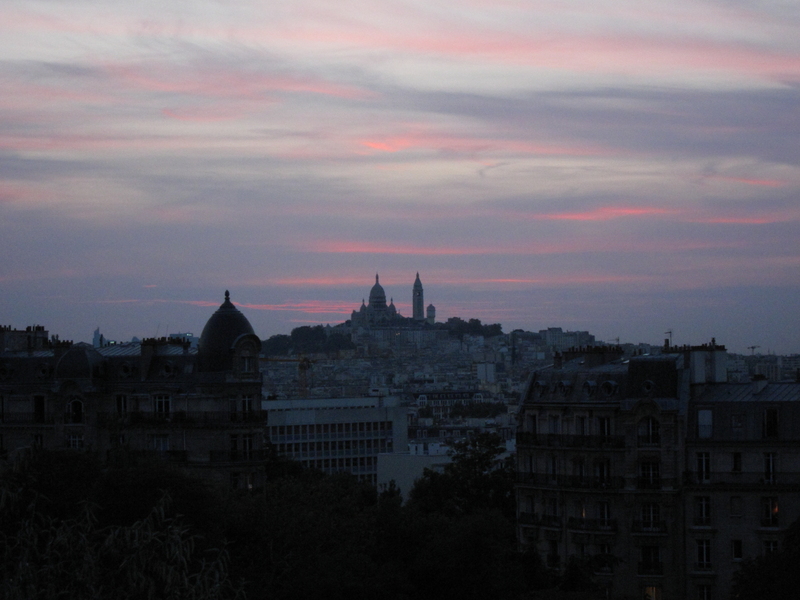 After getting our fill of both beer and conversation, Jared and I strolled through the park in the gathering dusk, just catching the last of the sunset from the temple de la Sibylle atop the island in the park’s central lake.